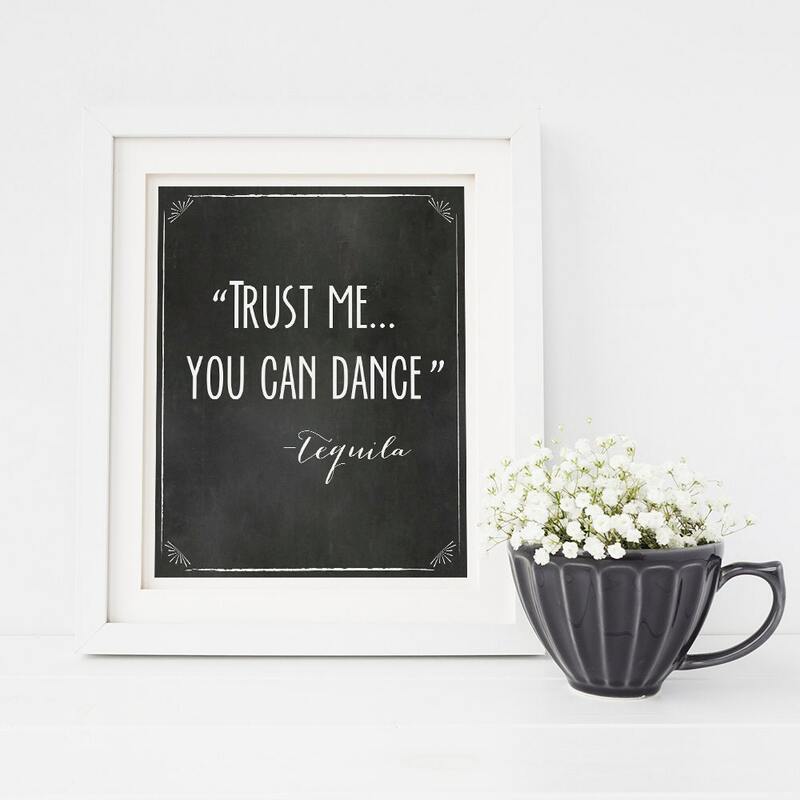 Printable chalkboard Wedding sign, "Trust me you can Dance" ~tequila. Print as many as you wish and frame. 8x10 inch instant download. INSTANTLY DOWNLOAD print and frame! •	After purchasing the listing, instantly download the files. •	Print on plain card and trim!